The PSA shall primarily be responsible for the implementation of the objectives and provisions of R.A. 10625. It shall plan, develop, prescribe, disseminate and enforce policies, rules and regulations and coordinate government-wide programs governing the production of official statistics, general-purpose statistics, and civil registration services. It shall primarily be responsible for all national censuses and surveys, sectoral statistics, consolidation of selected administrative recording systems and compilation of national accounts. Perform other functions as may be assigned by the PSA Board and as may be necessary to carry out the purposes of RA 10625. 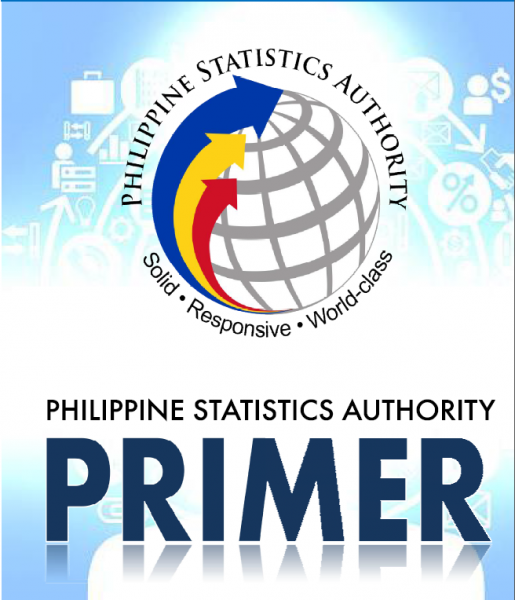 The Philippine Statistics Authority (PSA) logo signifies its commitment to provide timely and quality statistics necessary for decision making in all aspects of Filipino life. It reflects the PSA’s vision of solid, responsive, and world-class authority on quality statistics and civil registration; and its mission to deliver relevant, reliable statistics and civil registration services for equitable development towards improved quality of life for all. Represent the PSA’s adherence to the United Nations Fundamental Principles of Official Statistics and commitment to international conventions and standards. It also represents the PSA’s participation in the global statistical community, mirroring its vision of being world-class. We, the Philippine Statistics Authority, commit to deliver relevant and reliable statistics and efficient civil registration services to our client and stakeholders. We adhere to the UN Fundamental Principles of Official Statistics in the production of quality general-purpose statistics and commit to deliver civil registration services in accordance with the laws, rules and regulations, and other statutory requirements. We endeavor to live by the established core values and corporate personality of the PSA and adapt the appropriate technology in the development of our products and delivery of services. We commit to continually improve the effectiveness of our Quality Management System to ensure equitable development towards improved quality of life for all. We observe the highest standards of professional behavior by exemplifying impartiality and independence in everything we do. We stand firm with undue influence - ensuring integrity cuts across not only in the statistics we deliver, but more importantly, in our people.